“Recent news reports question whether existing scientific research support oral health benefits associated with flossing. The bottom line for dentists and patients is that a lack of strong evidence doesn’t equate to a lack of effectiveness. As doctors of oral health, dentists are in the best position to advise their patients on oral hygiene practices because they know their patient’s oral health status and health history. The news story also implies that by not including flossing in the 2015 U.S. Dietary Guidelines, the government has changed its stance on flossing, however, this is simply not the case. The Dietary Guidelines Advisory Committee (DGAC) made a deliberate decision to focus on food and nutrient intake (i.e., added sugar). According to the American Dental Association (ADA), interdental cleaners such as floss are an essential part of taking care of your teeth and gums. Cleaning between teeth removes plaque that can lead to cavities or gum disease from the areas where a toothbrush can’t reach. Interdental cleaning is proven to help remove debris between teeth that can contribute to plaque buildup. Whether you use floss or another interdental cleaner is a personal preference, but it’s very important to understand the proper technique for each tool so that it is effective. Patients should talk to their dentists about how to use interdental cleaners to ensure efficacy. All in all, your dentist knows the best practices for maintaining a healthy mouth and how to care properly for your teeth. 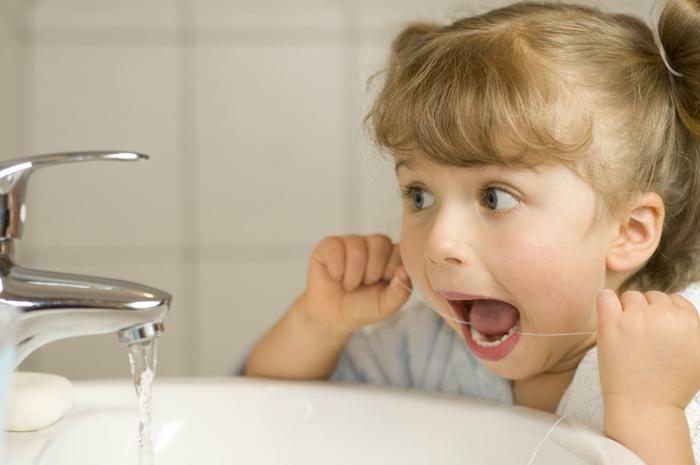 To learn more about flossing and other interdental cleaners, visit MouthHealthy.org.